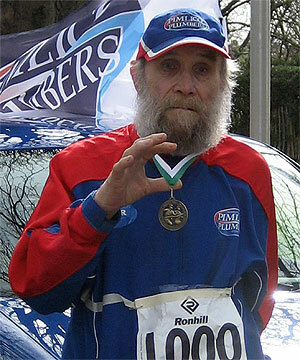 Buster Martin has been training for the London Marathon and targeting the title as the world’s oldest marathon runner. He was the former Army physical training instructor. He is also the oldest worker in Britain who worked three days a week at the age of 99. Before setting new record, he is the world’s oldest person to run the 5K, 10K and the half marathon. He just completed a half marathon in five-hour and 13-minute few weeks ago. This entry was posted on Sunday, March 30th, 2008 at 1:07 pm	and is filed under Interesting Stuff. You can leave a response, or trackback from your own site. One Response to "101-year-old Man Competes In Marathon"
You are history of marathan.Wander full keepit up.